I share my work with the world in a variety of ways. If you are ready to live in alignment with your highest vision, see the list below to find a method that best suits your particular needs. FREE Resources – Check out the blog, podcast, and monthly newsletter for all sorts of different content. 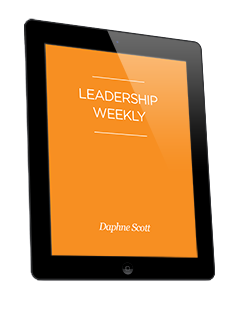 The blog covers common leadership topics in a nicely written format. The Super Fantastic Leadership Show podcast occurs weekly. (If you want to hear my voice every Friday, this is for you). You can wander over to YouTube to catch my leadership tip of the week. Online Courses – Purchase the full 10-week leadership development program, Waking Up a Leader, or choose individual modules on topics ranging from leading with your strengths to learning how to delegate effectively. Public Speaking – Book me as your keynote speaker for conferences, business retreats, or anytime you need an inspiring, engaging, fresh perspective. Leadership Presentations – Bring me in for a full-day facilitation with your team or whole company. Ongoing Team Leader Workshops – Hire me to facilitate monthly or quarterly leadership workshops. Coaching – I do love coaching individuals; however, I am very selective in whom I work with due to there only being 24-hours in a day. Also, it costs a pretty penny for this level of personal interaction. If you think this is for you, you can learn more here.